It’s an odd juxtaposition, but for something so liberal, rock music fans and bands are pretty conservative. Not in terms of the way they vote, you understand (although given what happened this week, who the hell knows?) but we like to compare things, we like to know what we are getting. This is especially true these days. Daily it seems, someone invents a sub genre to further define the genre they came up with the other week. Not that this is a new phenomenon. Readers of a certain age (and we mean mid-30s and above) will probably remember the distinctive red and white writing on the old cassettes of the Atlantic label. Many an album was purchased on the basis of that alone, because you just knew it meant a good record. 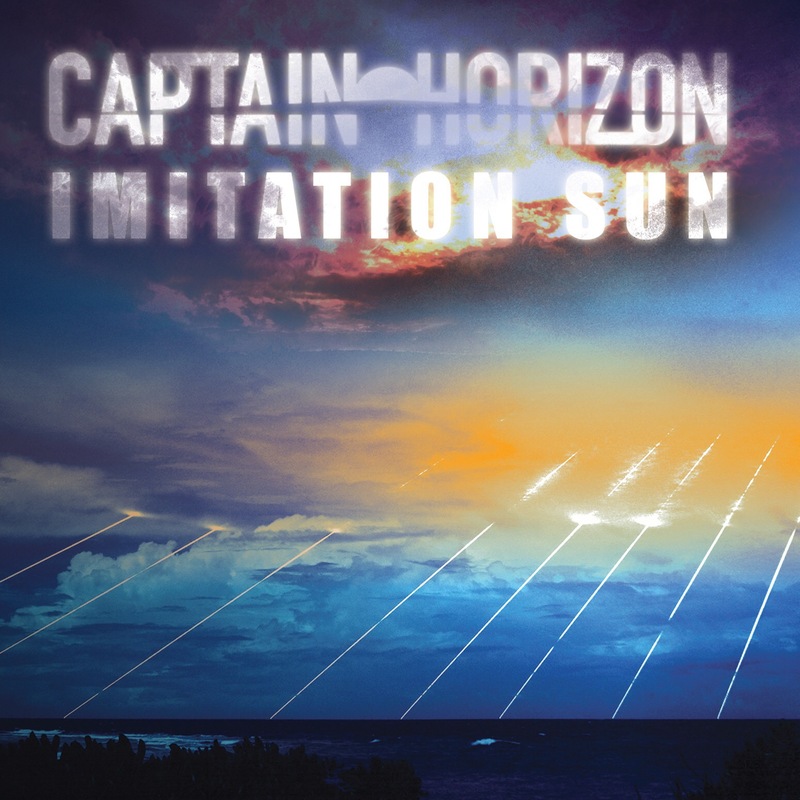 The collective members of Captain Horizon understand music is like that. The Birmingham boys are fans as much as the rest of us. It’s just that when it comes to the music they make themselves, they seemingly take the view that if everyone else sounds like something else, then what’s the point in us bothering to do the same? So it is that on their debut “The Lights Of Distorted Science” full-length record back in 2012 (re-released last year when they signed to Rocksecktor Records) and three EP’s, Captain Horizon have been busily doing whatever felt right at the time – and yet somehow making it hang together cohesively. “Imitation Sun” is their most complete work. A brilliantly thought through album from a band who calls themselves Alt. Rock but is so much more than that. Lead single “Can’t You See What I’ve Become” is a strident, mid-paced opening, and even on a collection as diverse as this, there are a couple of things which that song has in common with the others to bind it all together. The lyrics are excellent, the playing is first class and in Steve “Whitty” Wittington they have a fine singer. That’s not to say that any two songs sound alike. “The Dark,” for example, is a brooding, throbbing slow burner, “It Matters To You” sweeps in on the back of shimmering acoustics, but you know it wants to take its seatbelt off and sweep off towards the great wide open – it is a real highlight here. The title track too, is a lilting revelation. Keyboards tinkle alongside a huge prog ambition, while “Comforting” occupies the other end of the scale and is perhaps the darkest, bleakest thing on offer: “Sometimes, I could do with your empathy,” is its plaintive cry in the chorus. There’s some fine lead work from Joshua Watson on “Silence Of Vera” and “Imitation Sun” sets with “Work Out Right” a superior insistent and urgent affair which sees the band seeking answers that they can’t seem to find. It concludes what is an interesting and compelling journey. Captain Horizon’s great strength is that they fool you. They lull you into thinking you are listening to some lush, epic soundscape, while all the while they wrap things up into a four and half minute tune. This record proves categorically that there’s no one else quite like them and you should accept no imitations.